Use oil free products: Make absolutely sure that your moisturizers, SPF, and any makeup or products you may be using are oil free. Do not pop, squeeze or pick at acne as this can make the situation worse by spreading inflammation. With medical treatment, removing lesions is rarely necessary; however, when comedo removal is needed, it should be performed by an experienced healthcare professional. Gently wash your face twice a day with a mild cleanser and pat dry. 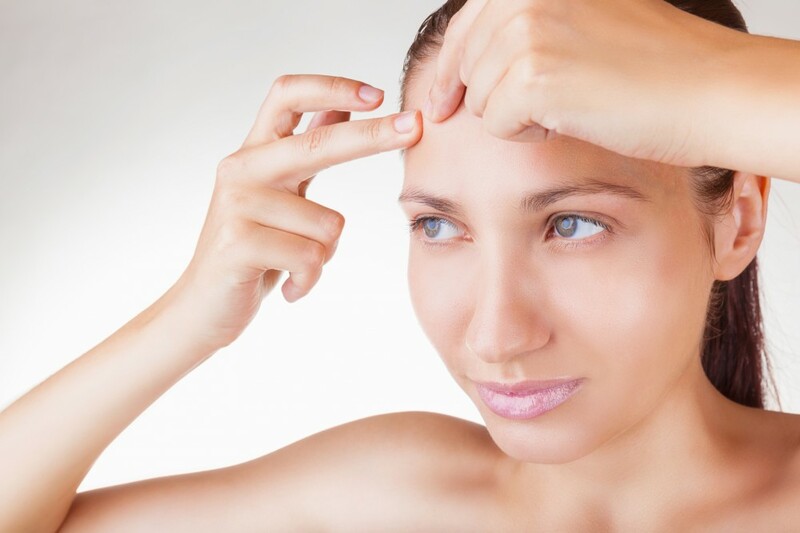 Acne is not caused by poor hygiene, and vigorous washing and scrubbing will not clear your skin. In fact, scrubbing, exfoliating, and using hard brushes or granules can irritate your skin and make the acne worse. Use products that specifically do not clog your pores. These are called noncomedogenic. Make-up, sunscreen, hair products and toiletries that are not likely to cause acne state on the label that they are noncomedogenic. Avoid oily hair: If you have oily hair, keep it off your face and wash it daily. No oily hair products: Avoid using hair products that contain oil, such as pomades and gels. Sporting equipment: Wear cotton clothing or moleskin under sporting equipment to avoid skin-to-equipment contact. Keep out of the sun: Avoid excess exposure to sunlight, and do not use tanning booths or sun lamps. Contrary to popular belief, tanning does not clear acne; it simply masks acne. Tanning also increases one’s risk of developing melanoma and other skin cancers. Additionally, some acne treatments can increase the skin’s sensitivity to sunlight and ultraviolet light from tanning booths and sun lamps. If you have acne, it is important to protect your skin by following strict sun-protection practices, such as wearing sunscreen and avoiding sunburns. NeoStrata Clear Skin Solution used once or twice daily. thanks for the recommendations – needed direction and know where to go ! learnt something today – didn’t know about the scrubs being not good, thanks!